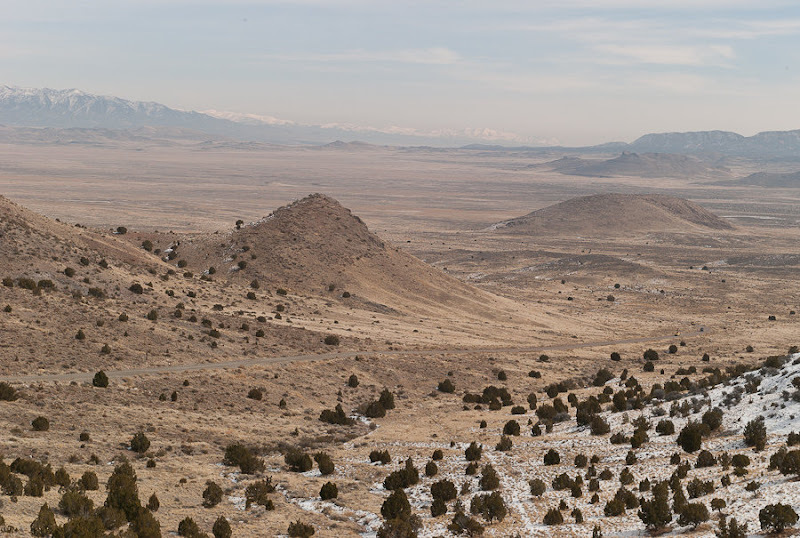 Looking at the Westis a blog about the American West as experienced and photographed by Andrew McAllister, based in Logan, Utah. Currently, it documents Andrews travels through the rugged Western landscapes of the Western states, although Andrew is promising some photography technique blog posts. For those of a technical bent, Andrew is mainly using a Leica M8 and ZM lenses, along with a Nikon d300. For me, these destinations represent some mythic landscapes from classic Western movies through to No Country for Old Men. Andrew’s most striking shots are of empty land, either unadorned nature or with some human artifacts tying to impose on nature. I like the way that Andrew lets the landscape do the talking. 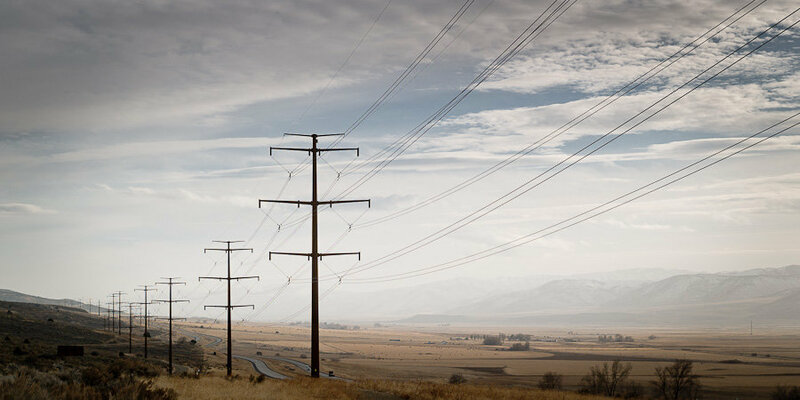 I particularly liked the composition of the landscape and the pylons in Heading South Toward Utah. Hello, good site. I concur. Keep up the job! Robin, Thanks for the kind words and checking out my blog.